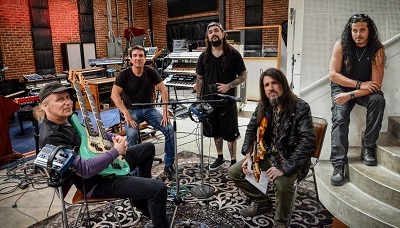 Un nouveau super groupe est né, SONS OF APOLLO, avec Mike Portnoy et Derek Sherinian (ex DREAM THEATER), Billy Sheehan (The Winery Dogs, Mr Big, David Lee Roth), Ron « Bumblefoot » Thal (ex-Guns N’ Roses, ex-Journey), Jeff Scott Soto (ex-Talisman et Yngwie Malmsteen). Le groupe prendra la route en 2018 pour sa première tournée mondiale. Billy Sheehan, Derek Sherinian, DREAM THEATER, gun's roses, Jeff Scott Soto, journey, mike portnoy, mr big, Ron « Bumblefoot » Thal, SONS OF APOLLO, the winery dogs. Favori.